Ballpark Estimate: $100,000 to $200 million. Have you ever fantasized about traveling into outer space, or even landing on the moon? 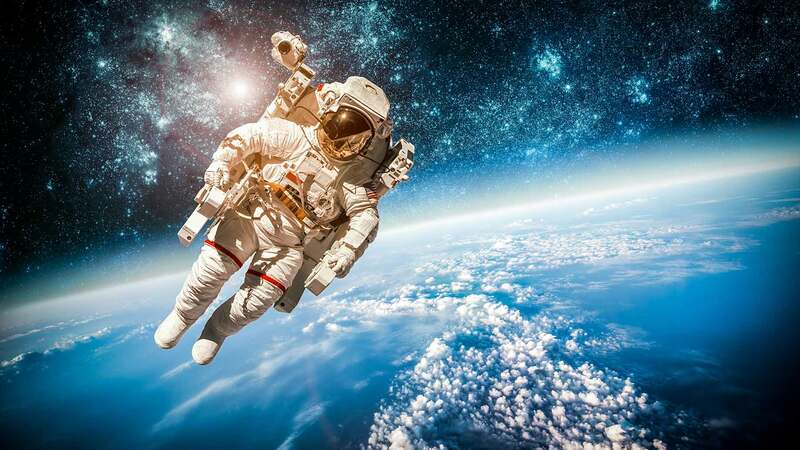 While this used to be a far-fetched concept for the average American, over the next few years space travel may actually become more within reach thanks to advances in ongoing research and technology advances in the aerospace field. There are currently five private citizens who have journeyed all of the way into outer space as of March of 2008. A sixth person is slated to join the list in the fall. All of the participants to date are billionaires and millionaires, which is a prerequisite at this point to take such a flight if you aren’t a professional astronaut, since the current costs are, in fact, currently “astronomical”. But a larger number of people (at least a few hundred or more so far) have gone up to 80,000 feet, which is just on the edge of the earth’s atmosphere. From this height, passengers can see both the darkness of where space begins and the earth’s curve. The last time a man walked on the moon was 25 years ago, but someday in the not-too-distant future, this may be an experience others can share. At least that’s the goal for several private companies, who are racing to move the stakes, and the flights, higher. They are raising money and coming up with spaceship designs that will, hopefully, make space travel accessible for many more people around the world. There are even plans to someday have hotels and resorts in outer space, and for this to become a popular tourist destination in future decades. Helping to spur on the technological advances in the aerospace industry is a contest sponsored by Google that is offering a $30 million prize for the first group that sends a spacecraft back to the moon. The idea behind this competition is to prove that more accessible and lower-cost space travel can be made possible through private, non-governmental groups. Meanwhile, there are several companies competing to use the latest technological advances and research to their advantage in making outer space a feasible destination for people from all walks of life. One of the leaders in this area is called Space Adventures, which is headquartered in Arlington, Virginia and basically serves as a space travel agency. Space Adventures not only helps arrange the specifics but also has been successful in launching a variety of space programs itself to date, including taking private explorers to the outer limits, creating zero-gravity flights and achieving high altitude experiences. In addition, the company offers a suborbital journey that allows passengers to experience weightlessness 62 miles above the earth. This zero gravity state lasts for just a few minutes, but the unique experience will forever remain with its participants. Of course Space Adventures doesn’t have exclusive in this area. Other companies are also arranging similar flights. For instance, Virgin Galactic (created by the founder of Virgin Atlantic), is also planning similar suborbital flights to be launched over the next year or two, along with plans to build a commercial space port in the state of New Mexico. In addition, a European company called EADS also recently unveiled its plans for a jet that will take passengers suborbital. These are just a few of the major players launching recent developments in the growing field of space tourism. The cost to reserve a seat on these types of suborbital flights, including the necessary training before liftoff, is between $100,000 and $200,000. If money is no object and you are looking for a more ambitious journey, however, than sub-orbiting the earth, you might be interest in knowing that a small number of people are undergoing about six months of extensive cosmonaut training and survival classes in preparation to a visit via Soyuz rockets to the International Space Station. After all of this preparation, passengers will actually stay at the Space Station for only about one to two weeks. These trips are also arranged by Space Adventures. The cost to visit the International Space Station, including preparation, is between $20 million and $30 million a person. While the cost of visiting the International Space Station is well beyond the means of most people, for the most elite group, Space Adventures is currently planning on selling tickets for a more expensive journey, which will go all of the way to the moon. While this option isn’t currently accessible yet, the details are indeed underway to make such a vacation possible for a few of the wealthiest people in the world. Of course keep in mind that the logistics are more complicated than sub-orbiting the earth or landing at the space station. In part this is because the journey will necessitate two separate launches, one of the Soyuz space ship and one of a booster rocket that the Soyuz will need to attach to when it reaches low Earth orbit. It is also important to note that at this point, such a journey will likely be a planned lunar flyby, rather than a full orbit of the moon, because this will be the most cost-effective use of fuel that will be needed for this mission. The price for a ticket to the moon is currently estimated at between $100 and $200 million. With so much attention and effort being focus on the space industry, some people wonder if there is actually a real market for such flights. A recent survey on space travel that was conducted of people in developed countries confirmed that there are indeed potential passengers willing to pay for this experience. The survey found that more than 60 percent of its respondents would be willing to pay between $15,000 and $20,000 to experience a trip to outer space. In addition, Space Adventures did its own poll of some of the most interested space travelers, in order to find out what such an experience is worth to them. Many of its respondents said they would be willing to pay about 30 percent of their annual gross income for this adventure. Further, respondents in lower income brackets were more likely to say they would devote an even higher portion of their earnings to this endeavor. But some skeptics in the field say that although the intent is there to make such an experience cost-effective for interested participants, it may not come to bear in the near future. To put this into perspective, one expert estimates that it costs $17 billion to build a space craft. With 50 seats on it at $150,000 a ticket, you would need as many as 800 flights a year to make it feasible. With the stakes so high – literally – when it comes to space travel, in addition to the vessels being created, some of the top players in the aerospace field are working to come up with new, less expensive ways, to make this experience more accessible for the average person. And despite the range of nay-sayers that exist, some experts do truly believe that the price for a journey into weightlessness will go down to about the cost of a low to moderately-priced car in the near future. In fact, an executive at Space Adventures point out that for people who have a little money to invest in a small adventure and an urge to experience something different, there are already a few much less expensive options that are limited to Russia right now, but may at some point soon be also be possible closer to home for Americans. You can arrange to travel at about two and a half times the speed of sound to the edge of the atmosphere and remain there for approximately 90 seconds at a price of $12,595. You can also board a cargo plane that goes into the parabolic arc that actually simulates weightlessness for its passengers at a cost of $5,400. So if money is right but travel into outer space is on your list of “must do’s” over the next few years, you might want to start saving up now for when these types of experiences become available in the U.S.